Welcome to Inova Energy, LLC. 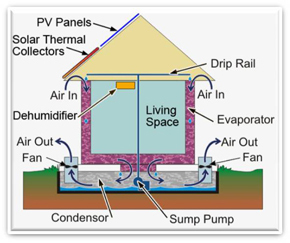 Integrated Evaporative is the only evaporative cooling technology that has the intrinsic potential to recover process water via geothermal condensation. Without employing additional components, IE can be configured to recover and reuse water in some areas. Recovery of process water can be accomplished by utilizing geothermal energy available below grade at the site of construction. 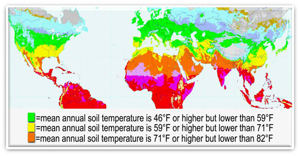 Many warm and humid climates are within regions where ground temperatures near the surface are below summertime dew point temperatures. This will allow the process water to be condensed and reused. This feature may distinguish the IE cooling system as the only cooling system with the potential to claim a positive water usage impact. 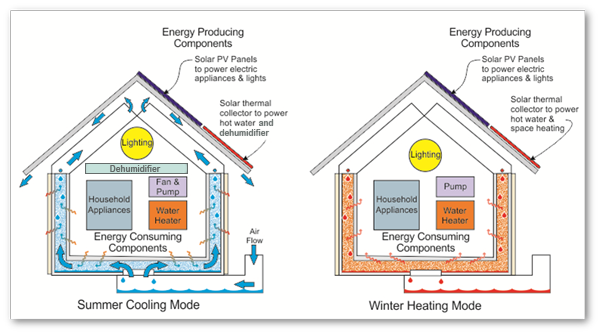 A survey of California residents in 2002 indicates there is high interest for a home that is 40% energy self sufficient. 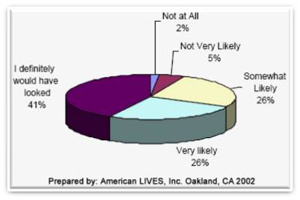 The chart at the right illustrates the addition costs (California 2002) willing to be incurred to have a 40% self sufficient home. 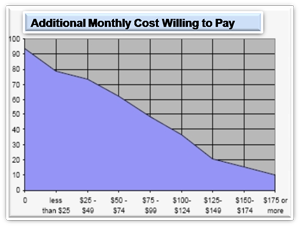 “An additional $25 month is roughly equal to a $4000 increase on the purchase price. $175 more a month is $27,000 higher on the purchase price. 10 percent were willing to pay $27,000 higher on the purchase price”. © 2010 Inova Energy, LLC.